With the dollar hitting 2003 highs and the stock market enjoying the "Trump effect" here are a few things to keep in mind when considering asset safety and growth in 2017. I just received an interesting email from Craig Smith, Swiss America Chairman, author and frequent Fox News guest. Craig confidentially shared why he believes 2017 will be a banner year for tangible assets - based on what he is seeing in the collector markets - even before Trump is inaugurated. 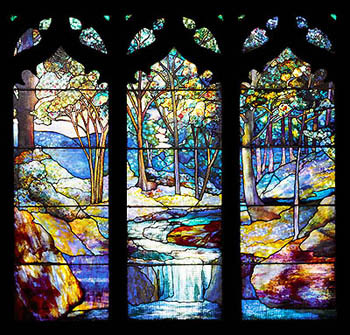 For example, this week at a Tiffany auction held by Sotheby's, a beautiful three-panel stained glass window created for a famous church was up for auction. To Craig's amazement this item sold for an amazing 5 TIMES the bidding price - in excess of $2 million! “A penny saved for 200 years can earn $2.5 million,” reported NY Daily News. 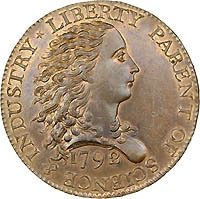 In January 2015 an ultra-rare 1792 Birch Cent penny sold for $2,585,000 at auction to an anonymous collector. Now that’s a pretty penny! The same collector recently reported refusing an offer on the Birch Cent of over $4 million - a 40% price increase in less than two years! In 1981 the same Birch Cent penny was sold at auction for $200,000. The Barrett-Jackson Car Auction is back in Scottsdale, AZ in January 2017. It will be interesting to see if it also brings record-breaking prices. In January 2016 CNBC reported, "Classic car investments are heating up due to near-500 percent returns over the past decade." Craig says we may already be witnessing the Trump effect upon big money people - who are investing more in high-quality collectible art, coins, cars and other rarities. As the stock market euphoria is already waning, he feels the collectible markets may well be the ‘canary in the coal mine’ foreshadowing a big rise in inflation in 2017. Whether or not you are a rare car, coin or art enthusiast/collector, the trend toward higher prices for tangible assets should be accounted for in your 2017 strategy. -Strong Dollar: The European Central Bank (ECB) has been on a Q.E. program for an extended period of time which ultimately must end. That will cause interest rates to increase in the Eurozone which will boost foreign currencies and force the value of the U.S. dollar downward. -Trade Wars: Trade policies play a very important role in global growth and stability. If President-elect Trump imposes new tariffs or restrictions on free trade with the world we could enter a Trade War. Trump promised "punishment" of domestic companies if they seek lower labor costs by moving operations and seeking more attractive labor rates. A time of disruption could create a very uncertain atmosphere, and a rush to safe havens such as gold. -Immigration: If immigration policy is changed abruptly it could disrupt the flow of foreigners traveling to and from America. Mr. Trump's promise to potentially deport millions of illegal aliens could also create large costs, big disruptions and have a great impact on the global economy. -Geopolitics: The U.S. is facing troubles in the Middle East and Northern Africa as well as collapsing emerging markets as a result of U.S. dollar strength. Iran is building a nuclear-powered Navy which they are willing to use against adversaries such as Israel and America. China is moving forward at full speed building their super-military capacity in the South China Sea. The list of risks is growing daily. -The Fed/Banks: President Trump may also follow through on his promise to support an audit of the Federal Reserve which could send markets reeling. The major banks worldwide are all going digital, some will no longer even cash checks. Banks now have a depositor "bail-in" option. Cash can be confiscated for any reason that the bank deems "suspicious". Now is a time for vigilance when it comes to preserving and growing your capital. Craig urges this is not a time for complacency. Nor should we allow minor windows of market calm to cloud a realistic view of the future. In our present environment, owning physical gold and silver is attractive, says Mr. Smith. Given the potential political and economic unknowns in 2017, owning gold is no longer a luxury, but rather a necessity. Even UBS bank analysts now say gold is a “must-have.” Mr. Smith and I agree 100%.